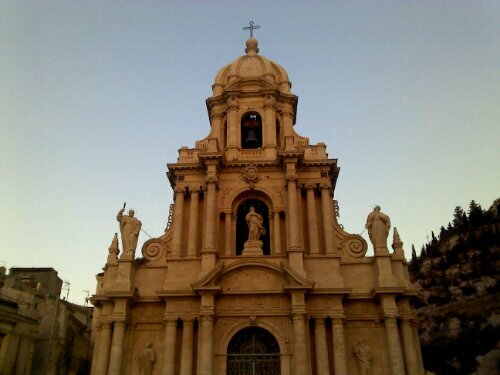 Sicily has been so wonderful that some of the biggest surprises occur when something doesn’t live up the hype about it. This was true in Palermo, and it also proved true in Caltagirone and Noto. 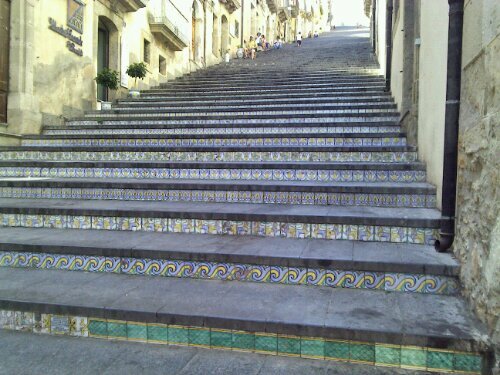 Caltagirone is famous for ceramics, most famously displayed in its 142- step La Scala, where every step is decorated with a different tile design. I don’t know why, but it wasn’t impressive at all to me. The town seemed tired and dirty to me, which is strange because the have a big festival in about a week. A pleasant surprise, however, was Scicli, where we spent the night. This beautiful southeastern town slopes down to the sea 8 kilometers away and features beautiful churches and a castle above it all, perched on a cliff. 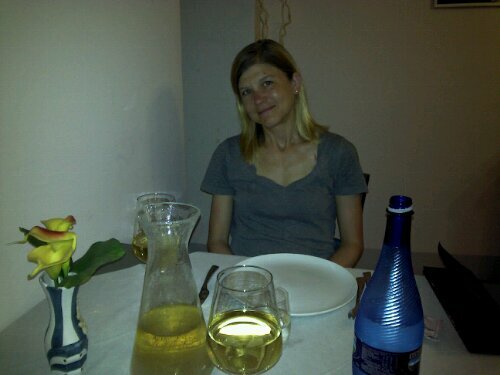 We had one of our best meals of the trip so far in a little osteria off of the main square. Oh, Katherine looks happy and relaxed. How about you?